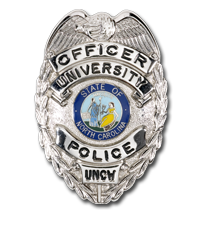 Training sessions about what to do in the event of an active shooter/attacker incident are conducted by the UNCW Police Department for members of the university community, including students, faculty and staff. All classes are held at the police department on Lionfish Drive (campus map) unless otherwise noted. No registration is required. 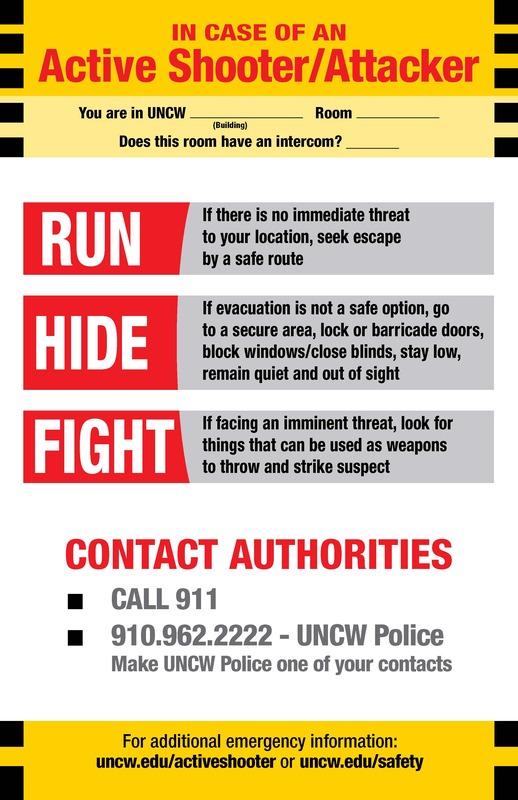 For more information, please call 910.962.2222. Fourth Wednesday of every month at 2 p.m.